A cousin, who is in the family way, was visiting me a few weeks back. Having lost her appetite for curries and anything rich or spicy, she asked me if I could prepare something light and simple for her. Keeping in mind her need for a nutritious and balanced diet I raked up my brain and came up with an idea to try this salad. I have often seen bulgar wheat salads as an accompaniment to Lebanese dishes. However, bulgar is not easily available here (available at speciality stores and none is even remotely close to where I stay). Instead I zeroed in on broken wheat as a substitute. I added chick peas (safed chana) to it since I found the taste of the wheat somewhat bland despite the addition of herbs. Although I do not like eating pomegranate, (love its juice though), on insistence of my cousin I added pomegranate to it. 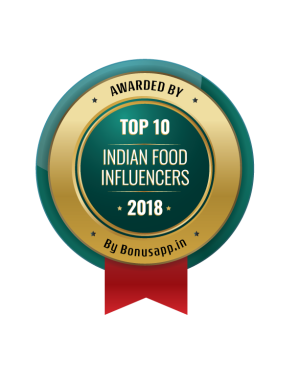 I was delighted to note that its addition gave texture and slight tart sweet flavour to the salad which everyone loved at home. Feel free to adjust the amount of ingredients to suit your taste. My family enjoyed the ratio mentioned below. Mix them well and sprinkle with pomegranate before serving. Note: The addition of chaat masala peps up the taste of the salad and I would highly recommend it. Congrats on all the wonderful awards-well deserved! Your salad here gets a definite thumbs up from me. The variety of textures and flavor you packed into this salad sure does want me to try it. 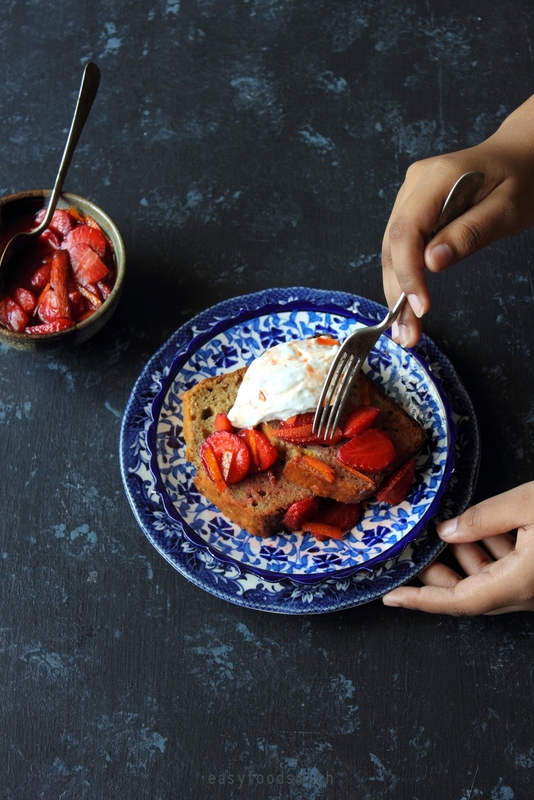 Also it makes for a lovely presentation with the bright ruby pomegranate seeds against the pale broken wheat. Great post. 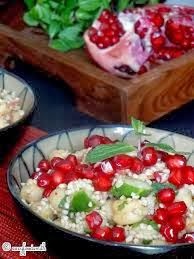 The salad recipe sound great,colorful and healhy I love it,I have one of pomegranate need to use up,i should make this salad,looks yummy !! Just mouthwatering…looks so fresh & delicious! Oh wow! Thank you so much for the award! Totally flattered! And congrats on your receiving them. That is one awesome list of bloggers you created! Thanks for including me in the awards and congratulations on getting so many well deserved honors for yourself!! Salad looks inviting, colorful and healthy too. I love pomegranate :). Congrats on the awards and thanks for thinking about me. BTW, the salad looks nutritious and delish! Taruna,I deleted my own comment to make some changes.Thanks for the award and I am really impressed. 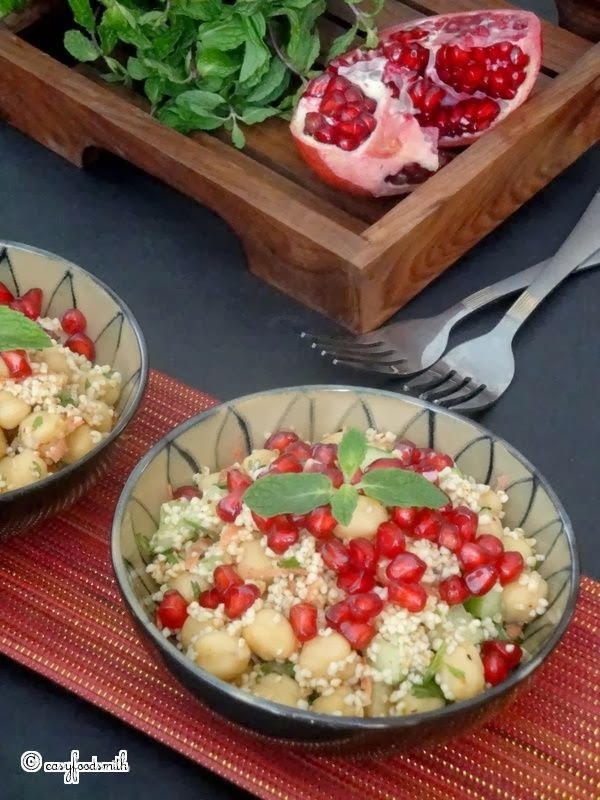 Your dish looks flavourful with pomegranate seeds and chickpeas. First of all – congratulations on all of these awards! They are well-deserved! Secondly – THANKS! I am truly flattered and appreciative of the Fabulous Blog award! WOW! Thanks so much! Thirdly – your salad looks delicious! So healthy and tasty. YUM! Strange,Even after 1 hour of updating my computer the posts are not showing up. I remember i commented on the date cake but even that is not showing. Its not only with your blog but with some other couple of blogs too. Congratulations on the very well deserved awards and thanks for passing one of them to me! The salad indeed looks very healthy, colorful and delicious! No wonder why it attracted the attention of your daughter! salad looks so delicious! !Congratulations on your awards & thanks a lot for passing to me too…it means a lot & I am so excited!! Such a lovely and colorful salad. I am a fan of grains presented like this, bulgur being my fave. But I have not tried broken wheat. Love the cilantro, mint and pomegranate. Congrats on the awards and thank you so much for including me in the celebrations, what an awesome list. Aww thank you so much for the award! 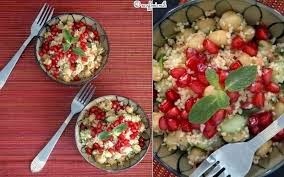 So sweet 😀 And this salad looks amazing, I love the combination of pomegranates, chickpeas, and bulgur. Delicious. Congratulations on all your well deserved awards, and thank you so much for thinking of me! That’s very nice of you to consider me for the fabulous blog award. I really appreciate it! Your salad looks so delicious, btw. Thank you so much for passing your award to me!! I love that delicious salad with the bright pom seeds on top! Thank-you so much for thinking of me. I usually don’t post them – because I want to give them to everyone! I never can “choose” but I am deeply appreciative. I am keeping this salad handy – it’s so pretty and a satisfying one for the winter. I never thought that it was possible to make salad from dalia. It is looking very tasty. Secondly, I love how colorful this salad spread looks. Need to make some daliya soon! Congratulations on a so many nice awards! Thanks so much for thinking of us, it is an honor. Your salad looks so colorful and tasty. It reminds me of a bite of summer, perfect on this cold winter day. Congratulations on a well deserved award! This is a perfect salad for these dreary winter months – light and refreshing! Congrats on all the awards!! And thank you so much for passing one on to me. Sorry for this terrible late reply, but I just came home after a 24+ hour flight (all kinds of problems, will blog about it later). Needs some days to recover and will be back blogging again. Ps: love the salad, so colorful and healty!